Do you have the right personality type to successfully run your own business? 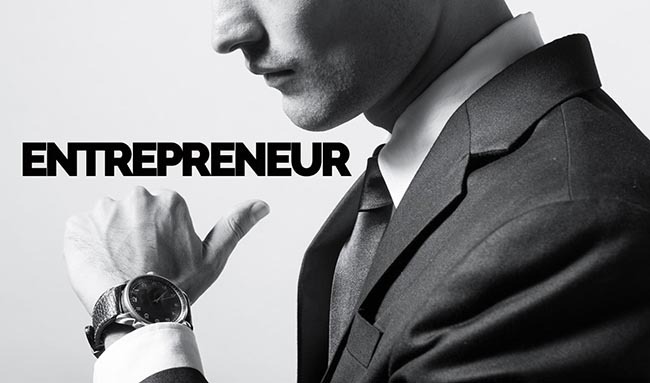 It takes an entrepreneurial fire in your belly to start a business and make it succeed. Not everyone has it. How do you know if you have what it takes to start a business? There's really no way to know for sure. But I do find things in common among the emotional and family fabric of people ready to consider an entrepreneurial venture. You don't have to fit all seven of these categories to be a good candidate for entrepreneurship. But it probably wouldn't hurt. In general, the more you have in common with these characteristics, the closer you probably are to being ready to try going out on your own. You come from a line of people who couldn't work for someone else. I don't mean that in a negative way. People who are successful at establishing their own business tend to have had parents who worked for themselves. It's usually easier to get a job with a company than to start your own business; people who strike out on their own often have the direct example of a parent to look to. No need to sugar-coat this one. People who start their own businesses tend to have been fired from or quit more than one job. I'm not saying you were laid off for lack of work or moved from one job to a better-paying one. You were asked to leave, or you quit before they could fire you. Think of it as the marketplace telling you that the only person who can effectively motivate and manage you is yourself. You see more than one definition of "job security." I am truly envious of the few people I know who have stayed with one employer for 25 or 30 years. They look very secure. But how many people do you know who are able to stay with one company for that long? In a rapidly changing economy, job security can be frighteningly fleeting. You've gone as far as you can go, or you're not going anywhere at all. Sometimes the motivation to start a new venture comes from having reached the top of the pile where you are, looking around, and saying, "What's next?" Early success can be wonderful, but early retirement can sometimes drive energetic and motivated people totally crazy. You've done the market research already. Don't even talk to me about your great business idea if you haven't put the time into figuring out if there's a market for your product or service. As the people behind any number of failed Internet ventures will tell you, "cool" doesn't necessarily translate into "profitable." Don't bother building it if you haven't figured out whether there's a good chance the customers will come. You've got the support of your family. Starting a business is stressful under the best of circumstances. Trying to do it without the support of your spouse or other significant family members or friends would probably be unbearable. You know you cannot do it alone. Any of the above is possible, but it's unlikely that you are going to excel at all of these tasks — or at all of the tasks involved in running any business. Forget all that doing it alone stuff. You are going to need some help sometime. The willingness to get that help — having employees, partners or consultants for those areas in which you are not an expert — is one indicator of likely future success. "No successful entrepreneur has ever succeeded alone," development consultant Ernesto Sirolli writes in "Ripples From the Zambezi." "The person who is most capable of enlisting the support of others is the most likely to succeed."